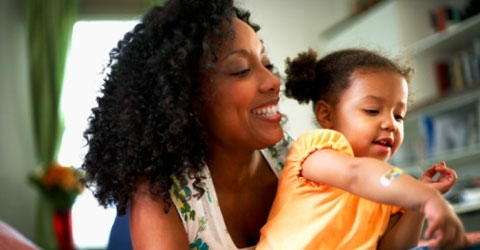 Learning to read can begin long before your child starts school – and if you introduce her to some of these fun reading games, she’ll be inspired enough to love letters all on her own. Take every opportunity to teach your child to read. Point out letters on the box of cereal at the breakfast table or ask her to identify letters from her own name on the jar of peanut butter. You can also do this with junk mail leaflets from the letter box, or reading material like magazines that you may have in the house. Your local library is the source of seemingly unlimited reading matter – and it’s free. Take your child along for story time, or simply settle down in a quiet, comfy corner and create your own, if there’s no formal story time on offer. Children love getting involved in family activities. So next time you’re headed off on holiday, get your children involved with the planning. Spend some time with them researching on the internet – see if they can spot your holiday location on Google maps. Involve your child in weekly meal planning by asking her to find a recipe and help with the shopping list. She can also help you in the supermarket by reading items off the list and finding them on the shelves. Set a goal of how many pages, chapters or books your child can read per week. Make up a reward chart and place a series of stickers for each goal reached. Challenge your child to read – or simply look at the pictures – a certain number of books in a month. Then ask her how many she thinks she can actually read and enjoy. Finding books that match movie or television characters is one of the easiest ways to instil a love of reading in your child. Whether your son loves Toy Story, or your daughter’s a fan of Dora the Explorer, you’ll find books suitable for many ages and stages featuring favourite characters. Before you turn the page ask, “What will Buzz do next?”.